1. The basis of translation work performed or supported through BPS Global will be the King James Bible, the Greek Textus Receptus and Hebrew Massoretic Text as found in the edition "The Hebrew and Greek Texts underlying the Authorized Version" by Trinitarian Bible Society. 2. The translation will be based on historical-grammatical exegesis of the text without any private or allegorical interpretation. 3. BPS Global uses Formal Equivalence as the translation method, not paraphrase or interpretive methods. This refers to a translation approach which attempts to retain the language forms of the original as much as possible in the translation. BPS Global absolutely rejects the translation method known as Dynamic Equivalence, that is used by the NIV and some other Bible translations. The Bible translation text must accurately translate all of the words of the source texts in the most clear manner according to the grammar of the target language, and at the same time read and flow naturally as in the standard spoken language. To ensure accuracy and clarity, the translator should translate idiomatic expressions according to idiomatic usage in the target language. This is not to say that a dynamic equivalent translation should be used. It is to say that accuracy depends on using the correct words and phrases. 4. The best choice for a translator is a native speaker of the target language. However, this is not always possible, especially, in the case of a language spoken by an unreached people group where there are no qualified translators. (There are hundreds of such people groups.) In this case a cross-cultural translator should do the work. Cross-cultural translators have historically proven to be able to produce accurate and clear translations. The cross-cultural translator must choose one or more native translation assistants from among the speakers of the target language who should be saved individuals. 5. 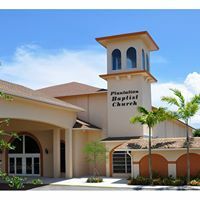 For checking, techniques recommended by the Baptist Bible Translators Institute are to be incorporated with the assistance of native speakers and trained translation consultants for all final word and phrase choices. See the BPS Global translation criteria. 6. Finally, translation work is supernatural work. It must begin, proceed, and end with prayer. Every decision must be prayed over. The translator should seek to develop a prayer support group.